Colors for LED's on boat? Thread: Colors for LED's on boat? 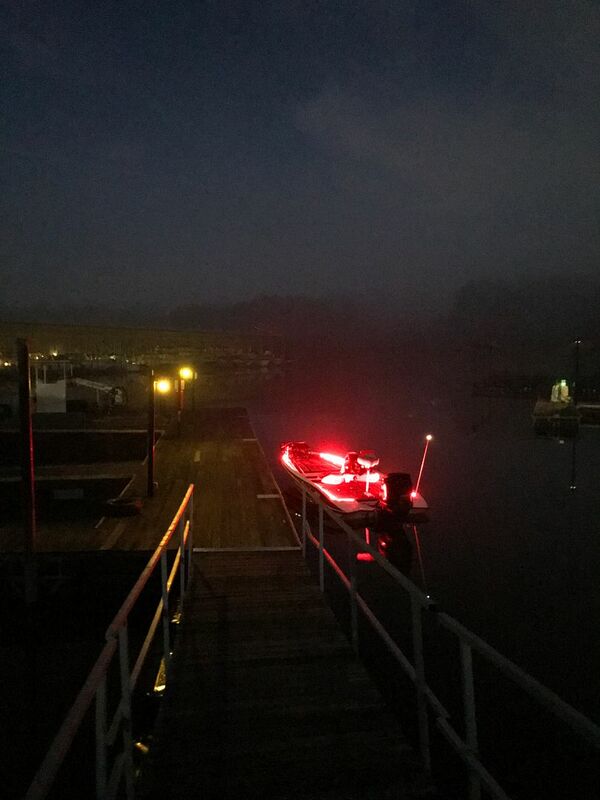 For those that have LED lights on their boat, what color do you prefer for prepping tackle etc in the morning? It's all up to you, I have red. Last edited by kandkkustomzhydrographics; 04-22-2018 at 06:12 PM. White/clear in compartments and red on the deck....BlueWaters of course. Blue on deck and livewell, white in lockers. Bluewaters - on a dimmer with the lockers on a mercury switch to turn on/off when opened/closed. Which ever color you choose, we recommend a dimmer control. Only white light on my boat is the stern light, I like to preserve my night vision.